Building on existing information and databases relating to volcanic fatalities, scientists from the University of Bristol have, for the first time, been able to classify victims by activity or occupation and look at the distance of their death from the volcano. 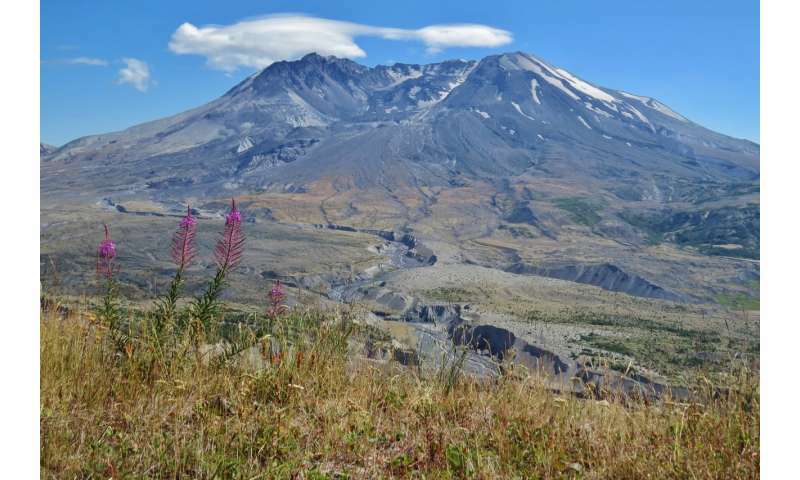 It is hoped the findings, published recently in the Journal of Applied Volcanology, will help increase our understanding of volcanic hazards and the subsequent threat to life. A tenth of the world's population lives within the potential footprint of volcanic hazards with more than 800 million people living within 100 km of active volcanoes. Between 1500 and 2017 more than 278,000 people met their fate as a result of volcanic hazards – on average that's about 540 people a year. Volcanoes produce numerous hazards which affect different distances, in both times of eruption and when the volcano is quiet. During this research Dr Sarah Brown from the University of Bristol's School of Earth Sciences and colleagues, updated previous databases of volcanic fatalities by correcting data, adding events and, crucially, now including information on the location of the fatalities in terms of distance from the volcano. The location of fatal incidents was identified from official reports, volcano activity bulletins, scientific reports and media stories. Nearly half of all fatal incidents were recorded within 10 km of volcanoes but fatalities are recorded as far away as 170 km. Close to volcanoes (within 5 km) ballistics or volcanic bombs dominate the fatality record. Pyroclastic density currents, fast-moving avalanches of hot rock, ash and gas are the dominant cause of death at more medial distances (5-15 km). Lahars – volcanic mudflows, tsunami and tephra (ashfall) – are the main cause of death at greater distances. As well as the distances, Dr Brown and her team were also able to classify the victims in more detail than any previous studies. Whilst most victims were people who live on or near the volcano, several groups were identified as common victims. These were namely tourists, media, emergency response personnel and scientists (mostly volcanologists). 561 tourist fatalities were recorded, mostly during small eruptions or in times of quiescence when the volcano was not actively erupting. Most of these fatalities occurred close to the volcano (within 5 km), with ballistics being the most common cause of death in eruptions. A recent example of tourist fatalities was the 2014 Ontake eruption in Japan when hikers on the volcano were caught out by a sudden eruption which tragically killed 57 people. And, just a few weeks ago, a child and his parents died in Campi Flegri in Italy, likely overcome by deadly gases when the ground collapsed beneath them in a restricted area. The fatalities of 67 scientists (mostly volcanologists and those supporting their work) were recorded with more than 70 per cent of these within 1 km of the volcano summit, highlighting the danger to field scientists visiting the summit of active volcanoes. Disaster prevention and response personnel, military and emergency services working to evacuate, rescue or recover victims of volcanic eruptions have unfortunately also lost their lives, with 57 fatalities of emergency response personnel. The deaths of 30 media employees are also recorded – these were reporting on eruptions and were often within the declared danger zones. Dr Brown, who is also a member of the University of Bristol's Cabot Institute, said: "The identification of these groups of victims is key for improving safety and reducing deaths and injuries in these groups. "While volcanologists and emergency response personnel might have valid reasons for their approach into hazardous zones, the benefits and risks must be carefully weighed. "The media and tourists should observe exclusion zones and follow direction from the authorities and volcano observatories. "Tourist fatalities could be reduced with appropriate access restrictions, warnings and education." The location data allows the characterisation of volcanic threat with distance, as a function of eruption size and the hazard type. It contributes to risk reduction by providing an empirical dataset on which to forecast impacts and support evidence-based eruption planning and preparedness. The data and analysis support assessment of volcanic threat, population exposure and vulnerabilities, and is a good step towards systematic fatality data collection which supports the priority target of the Sendai Framework for Disaster Risk Reduction in reducing mortality from disasters.